A tram stops near the foot of Whytescauseway in Kirkcaldy in the early part of the last century. 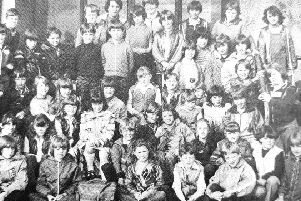 If you have an old photograph you would like to share, please e-mail it to us with some details to ffpnews@fifetoday.co.uk. Alternatively, you can bring it to the office in Kirk Wynd, Kirkcaldy, where it will be scanned and handed back to you.